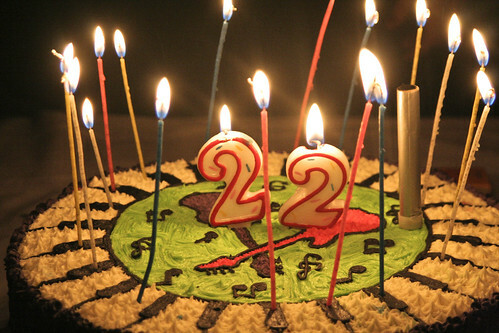 Gosh, I am now 22. twenty-two. I am old. and still unemployed. this world seems making a fun of me. when I don’t really expect things or kinda not really care, they come. and when I’m dying into it, they don’t come. but I thank Allah for still giving me another chance to reach this age. alhamdulillah, for everything I got. after all, for now and then, I supposed to not stop dreaming, not stop hoping, not stop wishing, also not stop trying, and not stop being grateful. I should be able take care of myself and become more responsible to everything I choose. and if someone gets hurt by my choices, nothing I can do except apologize. thank you, people. for being the living witness of my life recently and perhaps for more years to go if you don’t mind. insya Allah, amin. deeply sorry for the last inconveniences I made.